Working with our team is joining a family of passionate professionals who have been making a difference for more than 30 years. 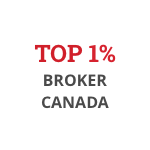 Represents the Top 1% out of 17,100 Royal LePage brokers in Canada at the close of the business years, since 2001. 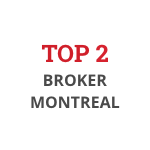 Ranked TOP 2 from 2004 to 2009 amongst all Montreal Royal LePage brokers. Ranked TOP 3 from 2010 to 2014 amongst all Montreal Royal LePage brokers.